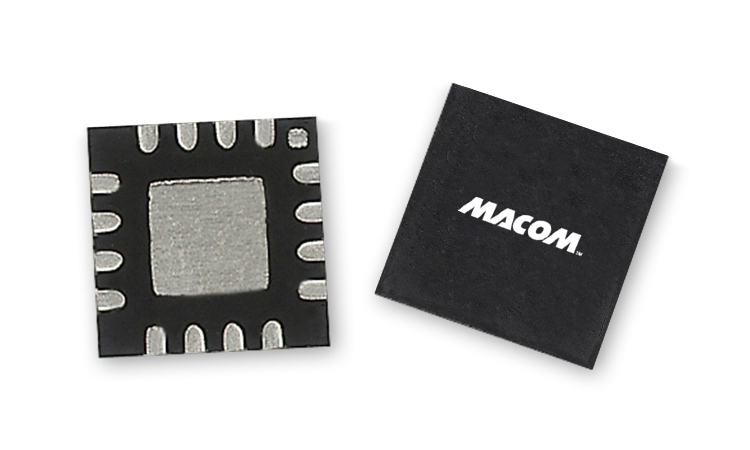 The MADR-011020 switch driver is designed to work with MACOM’s high power AlGaAs PIN diode switches. This driver has complementary outputs which can provide up to 50 mA bias current to a SPDT AlGaAs PIN diode switch. An all-off RF state can be achieved with the EN pin of this driver. An extra control C2 with driver select DS are provided to allow two drivers working together to drive a SP3T or SP4T switch. The back bias voltage can be selected to be any voltage between -20 V and -50 V. This switch driver can be easily controlled by standard TTL logic. With low quiescent current, this driver has a typical delay of <60 ns when driving a 10 pF capacitive load.